An Australian-based manufacturer of microphones is giving new hope to the ailing Australian manufacturing industry. Rode Microphones, which is headquartered in Silverwater NSW, is proof that the manufacturing sector is not as gloomy as predicted. 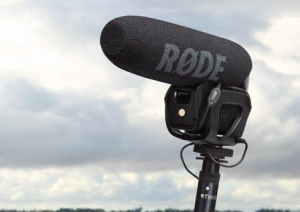 According to a feature on Reuters, Rode Microphones manufactures more than 90 percent of the 36,000 microphones it sells every month at its west Sydney facility. Aside from microphones Rode also produces accessories including shockmounts, boompoles, cables, windshields, stands and mounts that are used in studio recordings, live performances, videos, broadcasts and presentations. The company is 100 percent Australian-owned, moving into its 75,000 square foot factory in 2003 after its initial production in China. Now Rode Microphones export its products ranging from lapels to smartphone mics back to China and the rest of the world. Managing Director Peter Freedman shares his experience during his recent trip to China. “I was in China three weeks ago and you see them operating quite old gear with five people on it, earning very little money and I laughed because my gear has got nobody running it, so good luck, they have got nothing to offer and it’s such a barrier to entry to take me on,” said Freedman. The display of confidence is actually supported by recent developments in Australian manufacturing. On Saturday Prime Minister Kevin Rudd announced that an extra $500 million will be available for the automotive industry, securing its future from 2016-2020. Labor is also promising $300 million a year on an ongoing basis from 2020. “This is what we’ll do, this is why we’re doing it and we believe it’s important to support 50,000 jobs in the car industry across Australia,” says PM Rudd, in a report from ABC News. Meanwhile as parties lay down their plans for the future of manufacturing in their campaigns, car maker Ford, which has announced its 2016 closure in May, has reinforced its commitment to research and development where it has spent $1.9 billion on design and engineering over the past six years.